In an operational sense, today won’t be any different than yesterday at Apple. The people who help curate the sjobs@apple.com email address will probably be putting in some extra hours, the work changing around the placards is probably almost done, and it appears Apple isn’t going to be doing any sort of media tours to ‘help allay investor fears’. And they don’t need to. Nothing has really changed. I imagine bigger changes were slowly happening behind the scenes a few months ago when Operations VP (incidentally, Tim Cook’s original title) Jeff Williams was promoted to the Executive Bios page. He probably began doing the work of a traditional COO at around that point and, of course, Tim Cook has been acting as a traditional CEO on and off for years. As Cook’s email to the troops this morning explained, Apple is not going to change – drastically, that is. As any company, Apple is always changing. But Jobs has set up an internal ‘University’ program run by a former Yale dean to make sure that his and other leaders’ values continue to be passed down to Apple’s new VPs and employees. Apple is the most valuable tech company in the world, an accomplishment that took fourteen years of fantastic long-term decision making. That same intelligence and foresight has gone into the planning of life after Jobs roaming the hallways. Compare today’s long-prepared news on Apple’s share price (none) with that of HP’s bungled earnings news last week on their share price (–20%). Jobs isn’t just a technologist. He built and directed Pixar into the greatest animation studio in the world ahead of anything Hollywood could produce. He changed the music industry forever. He might have been the best, but for all of his greatness, Steve Jobs was not a perfect leader. There have been a few flops and mistakes. Perhaps Jobs was too trusting of Google early on? Options back-dating happened under his watch. AT&T? Obviously, the triumphs far, far outweigh the mis-steps. As you look at a 55-year-old man in the body of someone decades older, it’s hard not to imagine what a healthy Steve Jobs with twenty years left at the helm might accomplish. I wouldn’t compare the loss of Jobs’ ability to “move the world forward” to the burning of the Library of Alexandria, but it’s hard to find another such comparison that makes sense. This is the man that ushered in personal computers, then did it again with the Mac GUI, then put iOS on portable devices and ushered in the smartphone revolution that we are in the midst of right now and finally re-invented the Post-PC personal computing device. He might have even done things we don’t even recognize yet. Perhaps he’s killed office park campuses with the Mothership HQ? Maybe Apple releases a wearable device in a few months that changes watches like the iPhone changed phones? What huge innovations will we miss decades from now? Perhaps the knowledge of his own mortality pushed Jobs even harder. You don’t need to listen to his famous Stanford speech to understand his appreciation for the opportunity he got as a cancer survivor. He worked every day as Apple CEO, just like yesterday, his last. So how is anyone supposed to follow Jobs, especially an Industrial Engineer out of Auburn who, comparatively, seems introverted and certainly not as innovative? 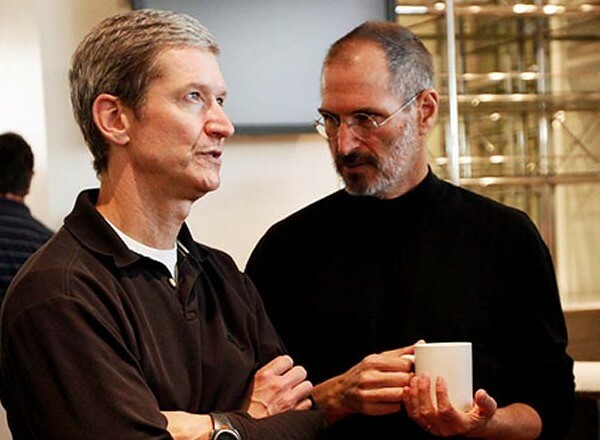 Remember, Jobs hand-picked Tim Cook to be his successor. What greater honor could you bestow on someone? Jobs didn’t just pick him out of the air, either: they’ve been working alongside each other for over a decade. Jobs picked Cook to be VP of Operations just months after taking back the reigns at Apple in 1997-98. We’re talking 13 quality years working side by side every day here. As we know, Jobs isn’t shy about telling people what he thinks or cutting people loose who aren’t meeting his expectations. If there were a better candidate in the world for being the COO and now CEO of Apple, Steve Jobs would have found him or her. Cook has managed Apple’s employees, partners, vendors and everything else during its decade+ renaissance. Remember, Steve Jobs’ first round at Apple and subsequent venture at NeXT were mired in operational mis-steps. Sure, Jobs learned from his mistakes, but I think Jobs would be the first to give Tim Cook credit for turning Apple into the operations machine it is today.